The Crysis PC Game Demo came out on Friday and since then I’ve been searching for quite a bit of info to get the most out of it and prep for the game’s full release in a few weeks. Finding this information can be tricky and for the most part it’s tucked away in forum posts and comments littered all over many different sites. A few years ago the same situation occurred and I created a page with info for Battlefield 2. Now I’ve decided to do the same for what appears to be the next game I will be immersing myself into. Anyways, below you will find a Guide, FAQs, Tips, Demo, Cheats, Tweaks and more…I will continue to update this page as I find more information. So you finished the demo and want more? Here’s a map someone created for the demo called Frozen Island. It’s easy to run both a GPU & CPU benchmark in Crysis as they have provided batch files to do this. Keep in mind that the benchmark is based on the current settings you have already setup in the game. You need to change the settings in game before your run the benchmark. If your run Crysis on Vista it will automatically launch using Direct X 10. Some people claim that you can get better frame rates running under Direct X 9. You will be doing this at the expense of some nicer eye candy available in Direct X 10 and you will not be allowed to access the “Very High” settings within the game. Complete list of commands available in a text file here. Firstly you need to load in the map, so go to file, open and go to islands (you should alread be in the levels folder, under game), one is called island.cry this is the demo level and theres also the MP map from the beta called shore.cry. An interesting point is you can add AI to the shore map and it provides a good idea of basic level editing. This will take a while to load, as its loading all of the map info, but if you havnt edited a map before this loading is hardly anything and is amazing considering the scale of what its loading. CryEditor gives you an amazing real time display of whats going on in your map, but imagine the world is in pause until you get in-game. To move around this map use WASD as you would any FPS. Other controls include holding right click and rotating with the mouse to move your view. Scrolling the mouse wheel will zoom in and out. Holding the mouse wheel down and moving the mouse up/down will change your elevation. The wonderful thing with cryeditor is the immediate drop-in. This is done with ctrl+g. Be careful you will literally drop in from your view, so if your miles high you will die. Get the view near the ground. On the right of the screen are your main tools. You should be on Objects, where you will see Entities. This are things you can add to a level. You can drag any of these items into the map, its best to do this near the ground at eye level, otherwise you can have items added below the map. If you cant find an item but know it is on the map then you can always duplicate that item. You can do this by clicking the item in the main window. Make sure you do not have anything on the right tools selected otherwise you cant select items. Then press ctrl+c to duplicate the item. At the top of the screen you should see a pointer selected. The tools next to this dictate move, scale, rotate etc. In order to move anything in the game select the move tool and put your mouse over an item. You should see several axis on which you can control. You can control multiple axis at a time by hovering over the square between two axis. Then simply left click and hold and drag. Just wanted to say thanks so much for compiling all this info – this is a great help. 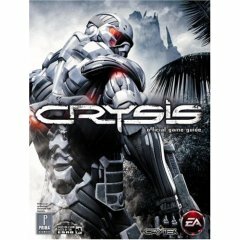 how do you put strength scale cheat for crysis in the single player mode? Kicking off 2010’s mixed martial arts is the brilliant UFC 108. It’s definitely going to be a great event with the main match being Evans vs Silva going head to head. You can watch santos vs yvel fight video for FREE in full HD without paying that grotty $55.95 PPV cost. I like to take what has worked well for people, then alter it to suit my needs. hey, saw this page on yahoo. really dig the site. keep up the good work! There’s nothing more enjoyable than a video game session. iPad 2 and iOS 4.3.1 jailbreak has been successful, please visit my website. Thank attention iPad 2[url=http://www.ipad2iphone5.com]iPad 2[/url].